Yesterday we saw a strong cold front move through the area dropping our temperatures considerably. As is often the case with these summer fronts that move through the state, we are always watching the Day 2 (day after the front moves through) for severe weather. 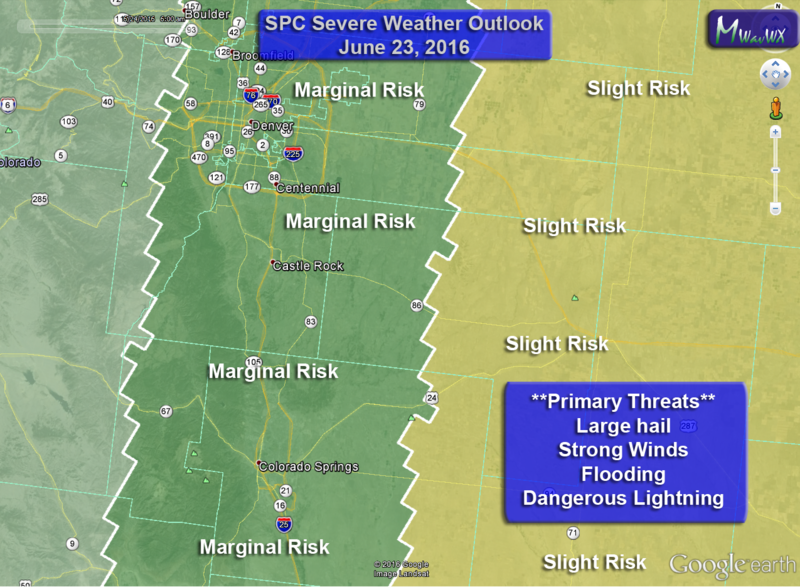 This looks to be the case today but I’m more concerned primarily about areas East of Denver, this is where the atmosphere is most favorable for larger, nastier storms. 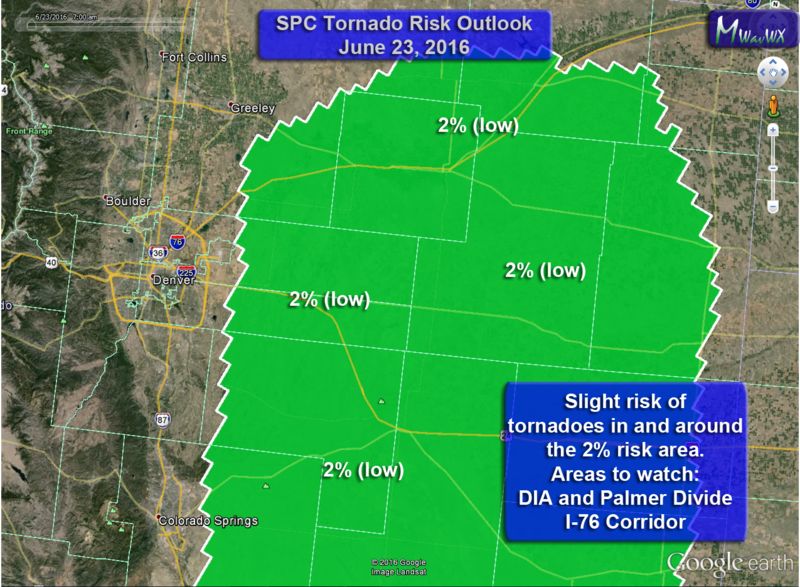 Still, there is still a chance that areas closer to the foothills get in on some of the bigger storms, but the risk is overall low. These storms will be capable of a lot of lightning, keep an eye out! 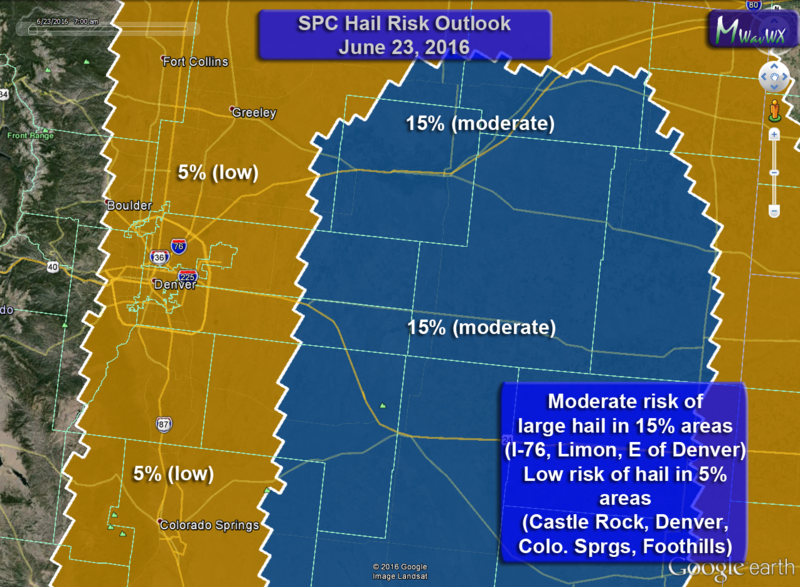 There is a higher risk for larger hail and tornadoes for storms on the Eastern and Northeastern Plains. If you hear thunder, you can be struck by lightning, don’t wait until it’s too late! Keep an eye on local forecasts throughout the day, don’t be caught off gaurd! Do not attempt to drive through flooded roadways! I’ll pass along any updates throughout the day as I see them come in. Stay aware!